Dell already had one of the best designs for a notebook with the XPS 15 9550, so it is perhaps not a huge surprise to see them evolve that design only slightly for this year. It keeps the same thin-bezel design that has catapulted the XPS lineup into the distinctive look and feel they are known for today. 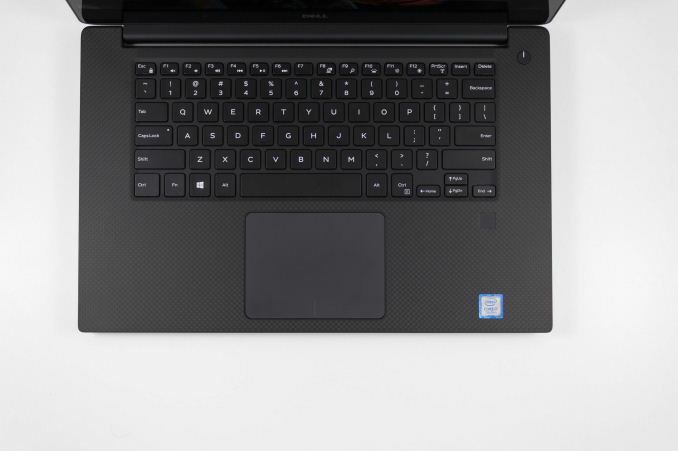 Although the XPS 13 is more impacted by the thin bezels in percentage shrunk, Dell still offers the smallest 15.6-inch notebook around with the XPS 15. 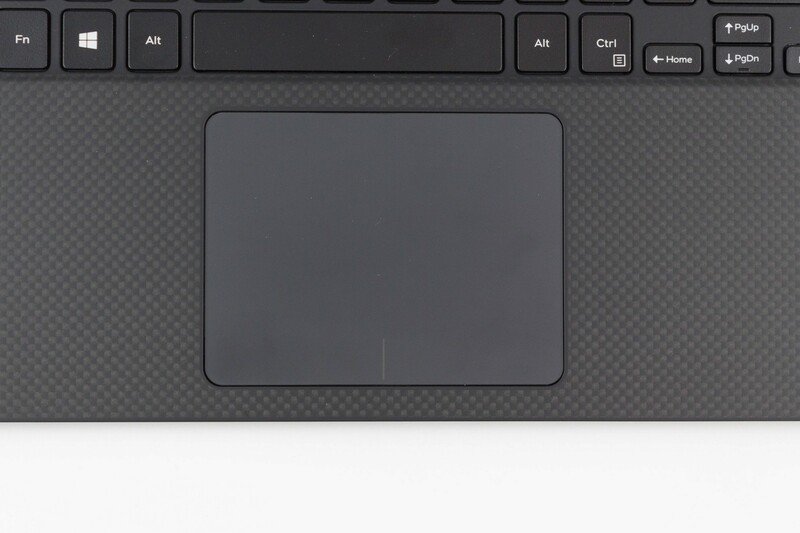 Dell uses a machined aluminum top and bottom, and sandwiched in the middle is a carbon-fibre keyboard deck with a soft-touch coating. It makes the laptop very easy to use for extended periods of time, without the sharp edges that some all-metal laptops suffer from, but the coating can be a bit of a fingerprint magnet. The keyboard is backlit in white, with multiple levels of brightness. It features a six row keyboard too, and without the extra width allowed by wider bezels, Dell doesn’t try to squeeze in a number pad, which is the right decision. Even on larger 15.6-inch laptops, that can make for a pretty cramped keyboard experience, with oddly placed keys. 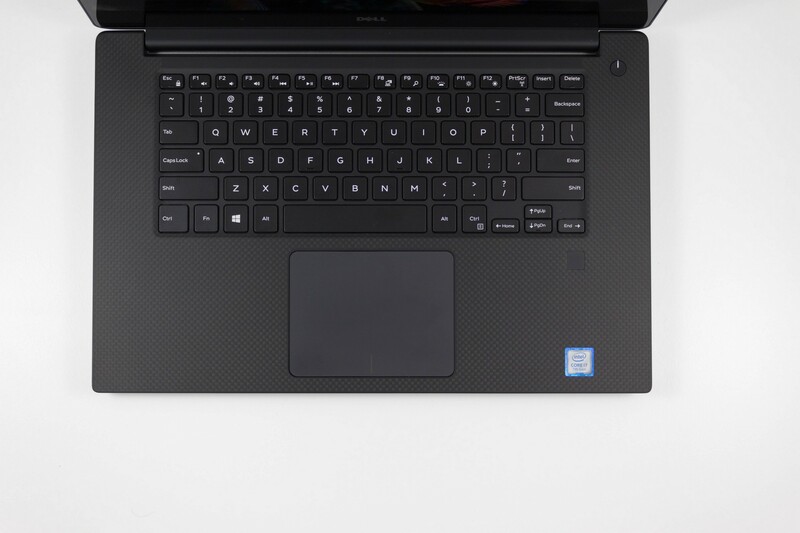 The XPS 15 features a fairly typical keyboard arrangement, with perhaps only the half-height arrow keys being a concern for some typists, although they are well spaced and shouldn’t pose much of an issue even for the pickiest of keyboard users. The key travel itself is a bit disappointing. It features 1.3 mm of travel, which is likely due to the lack of space inside to offer a thicker keyboard. The keys don’t have the reassuring click sound either, with a more muted, mushy feel. We’ve been spoiled by some great laptop keyboards over the last couple of years, and the XPS 15 can’t reach that lofty goal. As with anything, a person would get used to it over time, but there are better keyboards out there. 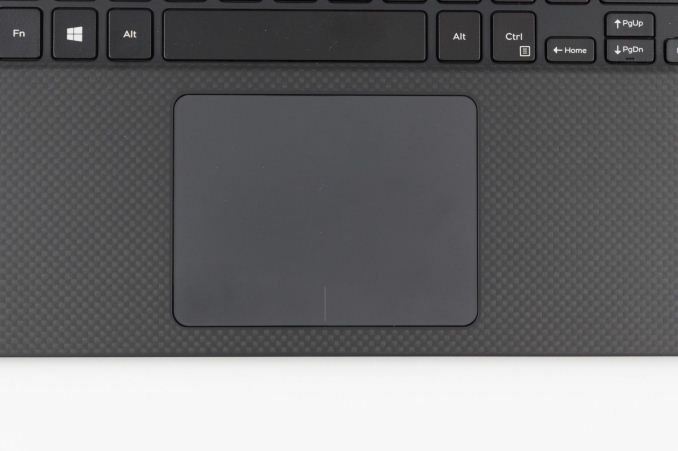 The trackpad is smooth, and generously sized. The width is much more traditional than some devices which have gone with the ultra-wide trackpads, and because of this it feels more natural. There’s less hitting your palms on the trackpad too. 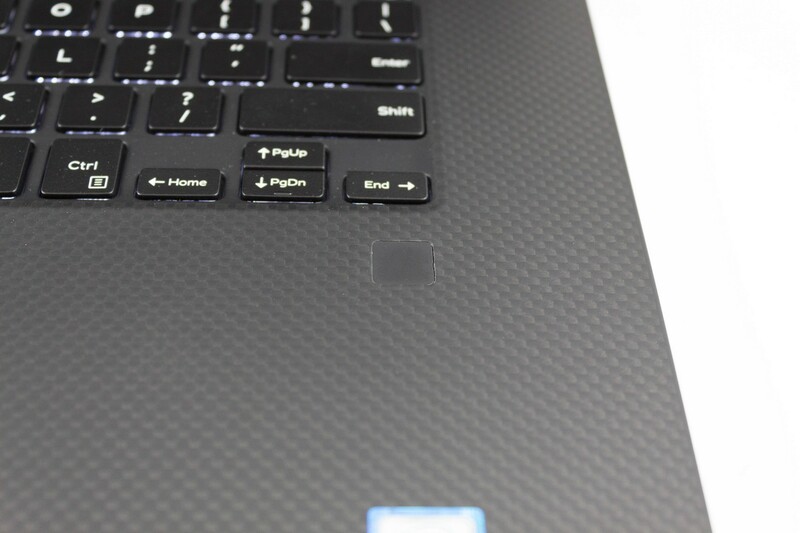 New to the XPS 15 9560, and tucked over on the right side of the keyboard deck, is a capacitive fingerprint reader. With Windows Hello integration, this gives you the option of using biometrics as a logon choice. The fingerprint reader is very responsive and has almost never missed a finger in the time here. Some people prefer the tactile feel of a fingerprint reader over a facial-recognition login method, but regardless, it’s nice to have at least one Windows Hello biometric option to speed up login. The right side features the SD card reader, USB 3.0 with PowerShare, and a battery gauge indicator. The left side has the charging port, another USB 3.0 with PowerShare, full sized HDMI 1.4, a headset jack, and the Thunderbolt 3 connector. Other laptops may have more USB ports, but two A ports are generally enough for most people, and those that need more can easily tap into the USB-C port for far more bandwidth if necessary. It's hard to say more about the XPS lineup at this point, since it’s become such a well-known design in the last couple of years. If you’ve not had a chance to see one in person, it’s probably worth a look. The smaller bezels really do reduce the bulk of the notebook, with the one downside in Dell’s case of a poorly positioned webcam at the bottom of the display. 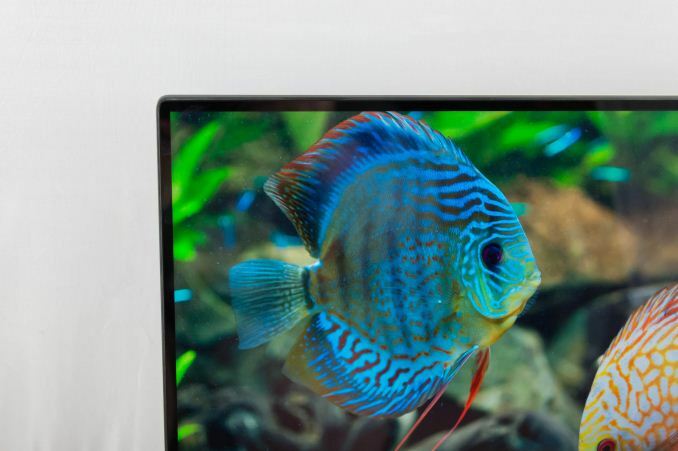 Dell wants to keep the top and side bezels the same size for aesthetics, and heavy webcam users will not appreciate this, with a less than flattering up-the-nose result. Since the launch of the Infinity Display, other manufacturers have done thin bezels, but with a thicker top bezel to allow space for the webcam. Not everyone uses the built-in webcam though, so whether this is an issue to anyone will be up to them. Regardless, the XPS 15 is still one of the most striking large form factor laptops around, and Dell has managed to make it a compact device without lowering it to Ultrabook levels of performance.